Chandbibi and the Waste Candidates | OK Listen! 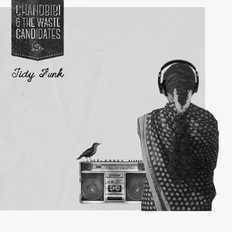 ChandBibi and the Waste Candidates are an experimental funk band based in Bangalore, India. Band members originate from various parts of India and are: Mana Dhanraj (Vocals) Sidhant Jain (Guitar) Kavita Sarna (Bass) and Navneet Rao (Drums). Their music incorporates rich vocal layers over Latin, RnB, funk and konnakol inspired grooves interspersed with jazz harmony and a healthy dose of the 'strange and beautiful'. All the band members have studied at Swarnabhoomi Academy of Music. The band released their EP in Dec 2013 and after completing their studies have now released their first album, tidy funk.